At work I only use storage from NetApp or HP because that’s what our portfolio includes. If I want to familiarize myself with other storage solutions we at VMGuru regularly test Synology, QNAP or Thecus SMB/home storage solutions. For enterprise grade storage solution I rely on special one-of projects like I’m in right now were we are using an EMC VPLEX or I use the hands-on lab and Solutions Exchange at VMworld. The problem is that these special project don’t occur very often and VMworld is only once a year. For this reason it is great that storage vendors create simulator appliances which are ideal for training, product familarization or if you just want to play around with some pretty cool shared storage in your lab. 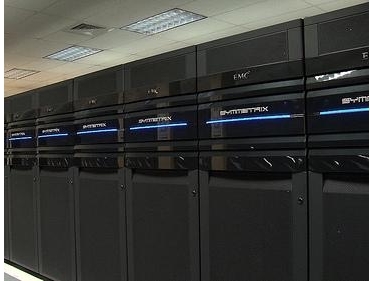 Looking for an EMC simulator to familiarize myself for the EMC VPLEX project I’m in right now I came across two great articles by Simon Seagrave (Techhead) a Senior Technology Consultant and vSpecialist for EMC. In these articles Simon explains how to implement the EMC VNX Simulator and the EMC Celerra Simulator. The VNX Simulator (VSA) is a highly useful addition to your VMware vSphere lab as it provides you with a real-world type VNX experience, from the management (Unisphere web interface) right through to providing you with the ability to copy and run virtual machines off of it. The VNX simulator offers file (NAS) connectivity to/from your ESXi hosts. Fancy running a virtualized EMC VNX or Celerra instance in your own lab? Well, good news this is totally possible and for free. I’ve run a couple of webinar sessions over the past 18 months on setting up and running the EMC VNX and Celerra virtual storage appliance (VSA), and still regularly have people ask how they get their hands on a copy of these free to use VSAs. 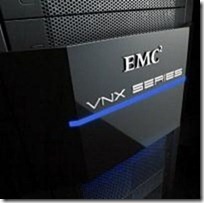 Check out the latest version of the EMC VNX Simulator. Check out the EMC Celerra Simulator. How many vCenter Server Desktop entitlements in Horizon View Bundle? Looking for EMC Centera simulator for training purpose but not able to find it anywhere. Had approached EMC but they said it is end of life product. If it is EOL there’s nothing I can do for you, sorry.